Everyone at the Auto Expo had high hopes from Yamaha. Post the launch of the fantastic R3 in August last year, the manufacturer was expected to bring its naked sibling – MT03 to India and the Expo was considered to be the auspicious time. However, instead of this, the Japanese manufacturer decided to launch the flagship naked in India – the MT09! For the past few weeks, Yamaha India has been restructuring its product line-up and has discontinued quite a few products along with the introduction of some refreshes of their best-sellers. Not limiting this to the smaller capacity, the company has now shelved the FZ1. Yes, this means the MT09 is essentially a replacement of the FZ1 for the Indian market, which follows the trend seen in many other countries as well. The MT09 sports a new three pot mill displacing 847 cc and it produces 115 PS of power and 87.5 Nm of torque. The FZ1, which was first launched in India back in 2010, sported a 998 cc four cylinder engine which focussed on mid range and top end. Official power output figures are not known (probably not released by Yamaha), but according to a few online sources, it produced power output between 125 hp and 150 hp and a peak torque output of close to 105 Nm. The bike, which aged gracefully, had to be replaced thanks to the rapid growth in technology in the past few years. In fact, its engine was borrowed from the third generation R1 which was sold in early 2000s. The MT09 weighs just 191 kilos and claims of a fuel economy of 19 kmpl! 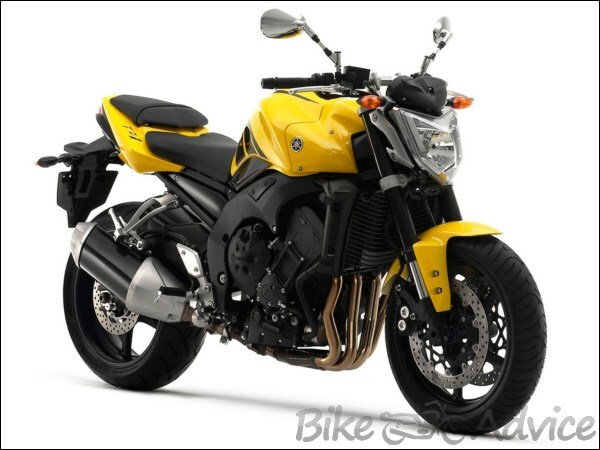 FZ1, when launched in 2010 in India costed Rs 8.70 Lakhs and the last known price of the motorcycle was Rs 11.43 Lakhs. In comparison, Yamaha has priced the MT09 at Rs 10.20 lakhs (all prices ex-showroom, Delhi). It’s direct competition (read Kawasaki Z800) is way more affordable and has an almost similar power output.